Kairavini karaiyinile - திரு அல்லிக்கேணி குளக்கரையோரம்: Prevent looting of God idols ~ punish the culprits !!!! Prevent looting of God idols ~ punish the culprits !!!! In Tiruvarur, inside a Temple, found many idols of Perumal and from Shaivaite shrines lined up – it would otherwise make an impressive golu – but it was paining. Each temple, each sect have their own form of worship and rituals, and it is imperfect to keep them all together and make offerings in common. When enquired the stock response, was those idols that had been worshipped in smaller (!) temples had been taken away for security reasons and kept in bigger temples. What a travesty ! – how is this a right action ? Is not the Govt and more specifically, HR&CE Dept. that controls the temple responsible for security and upkeep also. HR&CE derives crores of revenue from some temples, the money is otherwise spent for non-religious purposes too – but not on maintenance, upkeep and security of various temples all over the place. If at all, there is only one solace – it is the fact that some idols had been stolen, exported and kept in Museums, private art galleries and other places abroad ! When the Mona Lisa was stolen from the Louvre in 1911, there were no alarms to sound. It took 28 hours before anyone noticed it was missing at all, and even then no one panicked because the museum was in the process of photographing its works. But the painting hadn’t been removed for cataloging—it was stuffed under the smock of a handyman and carried off through the back door. When the disappearance was finally realized, the scandal flooded newspapers around the world. Suddenly, mobs of people were clamoring to see the empty space on the museum wall. Up until then, the painting was considered significant by art historians but wasn’t well known by the general public. “[The theft] did make the work extremely famous—more famous than it would have been had it not been stolen,” some said. “The Mona Lisa was missing for about two and a half years, and during that time the whole world was looking for it.” Finally, a man named Vincenzo Peruggia was arrested after trying to sell the painting to a Florentine art dealer with connections to the Uffizi Gallery. Though he was found guilty, Peruggia only served eight months in prison. “He had misplaced patriotism,” “Da Vinci had brought the painting with him to France, but this Italian man thought it belonged in Italy. So he was seen as sympathetic and someone who loved his culture.” On January 4, 1914, the Renaissance masterpiece was returned to the Louvre with a newfound fame, and it is now valued up to $1 billion. most ambitious antiquities smuggler in US history. He is now serving a 14-year sentence in a Chennai jail. News & photo source : https://www.nyu.edu/ (rogue’s art gallery). Now read this report in Times of India of date titled : ‘For God's sake, save our idols from New York Parties. There are some deeply disturbing photographs on the Face book page of Kapoor Galleries, New York City. They show people holding a drink or two in front of some bronze idols of Hindu gods and goddesses which should be in the sanctum sanctorum of temples in south India. Then there is this Buddha statue made to wear a Santa Claus cap. Not funny. In fact, it is quite painful for any devout or just anyone who loves and respects antiques. For the uninitiated, Kapoor Galleries belong to Ramesh Kapoor, the brother of Subhash Kapoor, who is cooling his heels in Puzhal Central Prison. Subhash, who was arrested in Germany in 2011 and brought to India the same year, continues to make news as his associates land in police net now and then. Surprisingly, Ramesh seems to have a free run in New York, where his brother Subhash had a gallery called Art of the Past. We are talking about the recently concluded Asia Week in NYC -between March 9 and 18. Kapoor Galleries seems to be back in the limelight, exhibiting two south Indian bronzes. I understand the bronzes were under scrutiny earlier, but because India could not prove that they were stolen, the sale could not be stopped. This shows a lack of understanding by ASI, the custodian of India's treasures, about changing international practices and some inherent issues with Chola bronzes. 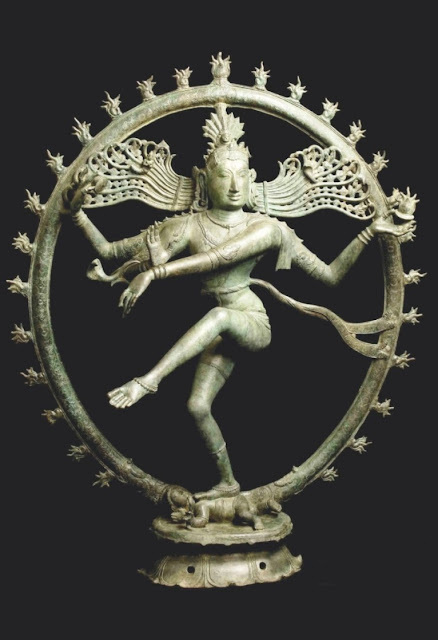 Identifying south Indian bronzes poses many peculiar problems. There are thousands of them in thousands of temples across Tamil Nadu. The state is yet to have a comprehensive archive of these bronzes, and even if it does have one it doesn't have the resources to follow every auction and technical expertise to run a match within its archive. The problem is compounded by the fact that thefts are hardly ever reported. Even when they are reported, they are not publicised in public databases like the Interpol's stolen works database. The larger issue, however, is that of buried hoards. During the damaging raids of Malik Kafur, our ancients resorted to burying the gods to save them from being melted for metal by the invaders way back in 1314 CE. The fact that Tamil Nadu routinely throws up such bronze finds is a testament to the will of our ancients who most likely gave up their lives rather than reveal the location of the safe burial to the invading armies.This is the only possible reason why the gods were not dug up and put back for worship once the threat passed. Today only a scant percentage of such finds are reported, and due to the healthy black market in illicit antiquities, most of the time such hoards are clandestinely smuggled out of the country. This is not a recent problem; we have cases from the colonial period like Norwegian diplomat Peter Anker's sleight of hand through which he convinced the poor locals of Tranquebar to part with the bronzes of the Masilamaninathar temple. Anker moved them to his personal treasures and some of them are on display in the Dutch National Museum. Similarly the celebrated Natarajas of Pathur and Sivapuram which were returned to the country were buried hoards. In this regard, the ignorance of the Union ministry of culture and ASI is shocking. Take the examples of Italy and Cambodia. In the recent years, these countries have been aggressively pursuing their looted treasures, stopping auctions of the artifacts and seeking proof that it was legally exported out of their country, thus shifting the onus of proving the veracity to the seller and not the source country. Most of the dubious art dealers peddle worthless paper receipts as provenance-- some thing Kapoor too did. The ministry of culture should immediately seek the stopping of this sale and scrutinise the paper work supporting import of these objects into America. Sad is the plight !